Dear Friends, I write with good news and better news! The good news is that after almost twenty years at 31 West 27th Street, the Stella Adler Studio of Acting is moving on. The better news is that we secured a 30,000 square-foot space at 65 Broadway for our new home. This news comes in the studio’s seventh decade which we commemorate this year. This new space allows us to realize our goals as a world-class training and cultural center. We will occupy the entire second floor which will be our main reception area and we will have additional space in the basement. There is immediate access to nine major subway lines (1, 4, 5, A, C, J, Z, R, W) and walking proximity to almost all others. The space also allows us to breathe and expand. For comparison, we will have a full 10,000 square feet more than we currently occupy. We will have two more rehearsal studios than we do now. The additional square footage will allow us two dedicated dressing rooms and a dedicated space for a library/student lounge for the first time ever. We’re pleased to report that we’ll have a larger faculty lounge and production shop as well. I have seen scores of spaces all over New York City in the past five years and can attest that there are few with the specifications we need at a rate a not-for-profit organization can afford. The specifications are important for us and this space fits the bill: the second floor has palatial 16 foot ceilings (high enough to hand theater lights and still have space to swing a sword). We will have wide spaces with 25 foot column spans. The building, known as the American Express building for that company’s history there, occupies a full city block from Broadway to Trinity Place. Today, the building is known for its landmark status and beautiful design including its New-Classical Broadway façade and double story Corinthian colonnade and large arched windows. With this news comes a new goal. Our effort will be to build out the space by August 1, 2019, so that we can open at 65 Broadway in September. This is eminently doable but will take an enormous force of will and effort. Part of our job is to move our current program downtown. And another significant effort will be the fundraising needed for this capital project. I am happy with this new location and space and think it a fitting way to celebrate the 70th anniversary of the Stella Adler Studio of Acting. It will also mark 130 years of the Adler family’s presence in and impact on the City of New York and beyond. In addition to the practical advantages of the location, great transportation, an exciting neighborhood coming into prominence as a cultural hub, and more space, it also brings us closer to where it all began, downtown Manhattan, and invites a reevaluation and presentation of our work, mission, programs, projects that will breed creativity and inspire support. Lately, on the cusp of this move and our 70th anniversary, I’ve been thinking a great deal about Stella. The more I think about her the more I appreciate what she tried to bring to the world. Her life was devoted not just to pumping out working actors; it was a life devoted to depth and meaning in the face of a society committed to the superficial. I’ve been observing the wonderful teachers who carry on her work while at the same time watching vintage videos of Stella teaching. What I hear through them is a Cassandra of our time warning us against our own worst instincts – greed, love of money, celebrity culture, life styles of the rich and famous – and guiding us toward rigor, intelligence, heart, imagination and human potential. I have devoted my life to concretizing Stella’s cry for depth. I’d like to celebrate that effort, by renaming the Stella Adler Studio of Acting the Stella Adler Center for the Arts. Actor training will continue to be known as the Stella Adler Studio of Acting and likewise will remain at the center of the organization’s focus. But given our tremendous growth and reach over the past decades – especially with respect to the work of the Stella Adler Outreach Division, Harold Clurman Lab Theater and Playwrights Division – the nomenclature of an arts center seems more accurate to both the student and audience experience of our work, mission and programs. Thank you to those who have been involved with and supported this effort to date. A move like this takes the support of the entire community and I am deeply grateful. Since president elect Donald Trump announced his candidacy on June 16, 2015, I’ve been inspired to think a great deal about the human impulse to demonize, to view and depict someone as “other”. As a theater artist at the end of a contentious election season, a possibility opens up – to think about functions of the theater, and about the possibilities of human discourse and interaction in relationship to the theater; to consider the potentials of humanity that the theater might nurture. For me, as a concerned citizen, and the Artistic Director of the Stella Adler Studio, it’s impossible not to think about our mission. Our mission, based on the insight that growth as an actor and growth as a human being are synonymous, is to create an environment that nurtures theater artists and audiences so that they value humanity, their own and others, as their first priority, while bringing art and education to the community. Since Donald Trump announced his candidacy the part of the mission that speaks most vividly to me is “their own and others.” In that simple phrase I hear and engage a prayer, perhaps the primordial prayer of all theater artists: how can I/we help; how can I/we serve? May this play be a bridge, may we embrace the other. As members of the Stella Adler Studio community, as members of the theater community, as members of the family of women, of men, let us dedicate ourselves to nurturing humanity, our own and others, with ever renewed passion. Since January 2014, the Stella Adler Outreach Division has provided free training and classes to people incarcerated at Rikers Island Correctional Facility. I have seen a number of different projects rehearse and unfold, and recently had the pleasure of observing our most recent work. The Healing Project was presented on Wednesday, November 18 and I wanted to share some of the experience as I found it deeply gratifying. I found myself with a mixture of emotions on the eve of the performance: gratitude on the one hand; aching hope on the other. I felt grateful first of all to the magnificent women, all 15 of them, who participated in the Healing Project, for their generosity, courage and willingness to faithfully make theater with us, theater to heal. I felt grateful to Joanne Edelmann for her leadership and deep love for and dedication to her students; grateful to Calaine Schafer for her boundless generosity, enormous talent and endless playfulness; grateful to Tommy Demenkoff without whom we wouldn’t be at Rikers. Tommy’s courage and wisdom have made a lifetime of dreams come true. And grateful to Suzy PetchEam whose love for our students whether they’re at Rikers, Phoenix House, a South Bronx Middle School, or the Stella Adler Studio’s home base in Manhattan is deep and true. The love each of these teachers and brave actor warriors have for our students reminds me of Shakespeare’s Juliet when she says, “My bounty is as boundless as the sea, / My love as deep. The more I give to thee, / The more I have, for both are infinite.” Finally I felt grateful to Commissioner Joseph Ponte, for his vision and healing efforts to exercise humanity at Rikers, to Deputy Commissioner Winette Saunders for her endless appetite to make a better world, and to the wonderful Corrections Officers we encounter on a daily basis, Officer Boyd, Perez, Gonzalez and Williams. So gratitude was a big part of what I felt during the last days of rehearsal. But I also felt a hope that aches inside of me in a way I need to ache. My hope is that the glorious women we worked with will see themselves as I see them–as truly glorious–and by seeing themselves that way, will heal. I’ve told them that they are glorious. Joanne and Calaine have told them, as have Tommy and Suzy. Beyond telling them, we’ve given them the opportunity to experience their own magnificence, their beauty, their own eternal and god given validity as human beings. And yet I know–as I’ve told the women myself–how difficult it is to fully and totally internalize the affirmation of self that theater affords its practitioners. As an ever grateful recovering drug addict, I know how difficult it is to turn your life around, become whole and heal. But that’s why we bring theater to Rikers. Not to discover the next generation of American actors but to empower worthy women with voice, with self-worth, with a clear and accurate understanding of who they are so they can take possession of their lives and live fully. The Healing Project, the title for the piece, came from a conversation that spontaneously emerged between the staff and faculty in response to the massacre at Emmanuel A.M.E. Church in Charleston, SC on July 18, 2015. We felt helpless and hopeless as the news came out about the shooting and we wondered what we as an arts organization might contribute to a world replete with so much violence and hatred. We were deeply inspired by the incredible faith and capacity for forgiveness of the parishioners of Emmanuel A.M.E. when they confronted Dylann Storm Roof, the perpetrator of the crime. Tommy Demenkoff and I discussed how we might at another time end up serving someone like Dylann with acting training and how complicated these issues truly are. We began discussing the capacity of the arts to engender deep human understanding and forgiveness. Tommy and Suzy came back to the Stella Adler Studio that fall with the concept of devoting the work of the Stella Adler Outreach Division in 2015-2016 to the work and spirit of healing, hence the Healing Project. For me, this most recent experience had the effect of engendering healing, not only for the participants, but for us all. I hope my effort to describe this experience and the efforts of the brave participating women engender some healing and understanding for you too. Since September the Stella Adler Outreach Division has been working with a group of women at Rose M. Singer Center at Rikers Island Correctional Center. On December 3, 2014 we saw “Our Circle” the culminating performance of the project. What an amazing and impactful experience we all had. I’m still aglow with the love generated not only by the women who performed so gallantly and beautifully, but also by the deeply diverse and wonderfully engaged community that collected around them. I write this note to the whole community in an effort to affirm the event and the community. I write in the hope that we who came together can stay together, that we can do what we did again and again, and that by doing so, we can make a palpable contribution to a troubled world in desperate need of the very medicine that was produced in such large dosages this week. The substance of that medicine was love. The substance of that love was communication, respect, reverence and an unflagging belief in humanity. The vessel for that communication, respect, reverence and humanity was the great art of theater. Theater feeds on humanity the way flowers feed on earth, sun and water. It craves, needs, and grows by way of humanity. It in turn produces the conditions for growing humanity. That’s why it belongs in jails and prisons. That’s why it belongs in low income neighborhoods and schools. Like great religions, theater has redemptive power to uplift. Like great religions, theater produces and nurtures community. The community that gathered at Rikers was so diverse, so inclusive, so representative: women inmate performers, women inmate audience members, NYU fourth year students from the Stella Adler Studio, administrators from Rikers, faculty members and administrators of the Stella Adler Studio, board members of the Stella Adler Studio, Corrections Officers, friends and colleagues from the theater, a reporter from the AP, a widely and wildly diverse group of people. I emphasize the diversity because as different as we were at the beginning of the performance we all came together as one by the end. Theater levels, bridges, brings people together. I personally feel transformed by the experience; feel closer to my students at Rikers but also closer to my own students and administrators who were there, just because they were there. I also feel closer to the administrators’ of Rikers who I think of not only as important partners but good colleagues and friends. And speaking of friends, I feel like I made a bunch of new friends who are not only friends but sisters and brothers in arms in the important work of uplifting humanity. I wish more of you could have been a part of it with us. Given all of the above I’m inclined to propose that we all think of what happened on December 3rd at Rikers not as a one-time event but as a wonderful beginning which lays the tracks for a social movement that values humanity more than anything (or at least an important part of such a social movement). Let’s all join arms, widen Our Circle and continue the work. For our part, that is, from the point of view of the Stella Adler Studio, I can promise, is that , we will go back to Rikers and broaden our work. While we reach out to more women, we will reach out to work with the men too. And while we do that we will go upstate and expand our work to include prisons . I would love the opportunity to work with the administrators to discuss ways for theater to play perhaps a deeper role in the process of rehabilitation. . Let’s make Rikers a model to the nation in terms of integrating the arts as a means to open up the minds and hearts of inmates. Meanwhile what thoughts do you have? How would you like to participate in this work? How can we keep creating meaning and making deeper connections? Please reach out and share your thoughts. I look forward to hearing from you, I look forward to our future work and I look forward to making a meaningful, positive difference together. 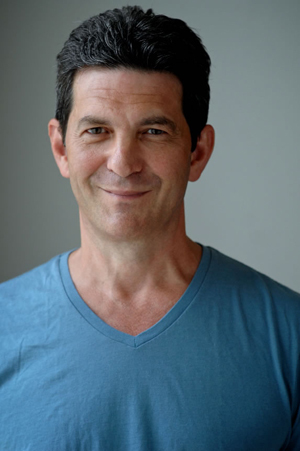 In his Business of Acting column “Turning Pro” (April 7), Jeff B. Cohen puts forth some important tips for young actors on how to transition from being a student of acting to being a professional actor. He draws attention to a truism: The art of acting and the business of acting are often at odds; in order to get work, or even agent representation, one must learn to “sell oneself”—that is, represent oneself as a business. This includes understanding one’s type and how one is seen by agents, casting directors, and producers. Actors must also, in Mr. Cohen’s words, “constantly push, market, schmooze, cajole, and fight to be noticed.” All this is undeniably true and covered in any responsible actor training program’s “business of the business” class, usually in the final year of training. However, in my opinion, Mr. Cohen overstates his argument when he claims: “Acting classes are great at teaching you how to succeed in the ‘show’ of showbiz. But much of what they teach does not help with, or in some cases actually hinders, an actor’s success in the ‘biz’ part.” Such a position sets up a false choice for a young actor. It implies, “I can either be an artist who doesn’t work or a salesman who does.” It thereby encourages young actors to sacrifice the cultivation of themselves as actors and human beings for the sake of commercial success. This in no way corresponds to anything that I have experienced in my 16 years as the artistic director of the Stella Adler Studio of Acting in New York and the Art of Acting Studio in Los Angeles, or the lifetime I spent before that in and around the business. I’ve never once heard an agent or casting director complain, “This actor is far too sensitized, open, and artistically enlivened. He should study less Stanislavsky and read more Variety.” In fact, I hear the opposite. Agents, casting directors, and producers want what the public wants, craves, and needs—that is, human beings. Actors are human beings who train themselves to reflect for humanity what it means to be human. Actors therefore serve a vital role in our society and in civilization as a whole. I sense sincerity in Mr. Cohen’s article and in Back Stage’s decision to publish it. However, his fear that actors will be confused by Stella Adler’s statement that “One way to enliven the imagination is to push it toward the illogical,” or that Lee Strasberg’s observation that “Acting is the most personal of our crafts” will in any way hinder young actors’ ability to make lives for themselves in the business, is not only misplaced but a complete misunderstanding of what actors are and what they need. Actors are smart; they are capable of distinguishing the difference between inspirational teaching and their marketing of themselves. Furthermore, an actor’s artistic impulse—often cultivated and nurtured by a strong teacher or school—provides the fuel that propels him or her to work, which attracts agents, casting directors, producers, and, ultimately, audiences. Over the past ten years I have devoted myself to bringing free actor-training to inner-city youth. In that decade I have experienced clearly and conclusively, that theater can have an impact on a young life that goes way beyond the craft of acting. I have seen it over and again: the veritable transformation of lives, the cultivation of self-respect, of confidence, of coming into oneself, one’s voice, one’s life. I would like to share one example emblematic of countless others. Darnell P. was a young man of sixteen when he joined our after-school program, though he wasn’t in school at the time. Three years before he came to us, his mother placed him in a foster home because she found out that he was gay. Darnell dropped out of school, dropped out of life, changed his name to Peaches and engaged in self-destructive behavior. He ended up living in a homeless shelter. “I don’t go by Peaches anymore,” were the words with which Darnell greeted us upon returning for a second year the following fall. We further learned that Darnell had taken his high school equivalency over the summer and enrolled himself in Manhattan Community College. Darnell still wrestled with his demons (who doesn’t?) but the transformative positive effect of actor training was gloriously present in him. What is it about actor training that has such a life affirming effect on young people? The answers are numerous. Here are a few. Acting, particularly in the beginning, requires a robust confrontation with one’s habitual self. An all important gap emerges between the self one invents to survive in the world, often a mere caricature of a deeper, free and empowered self. Acting also demands the exercising of the inherent choice-making muscle that exists in all of us. Further, theater, an ensemble art-form, demands that people understand, respect, and make room for one another. Finally, theater gives young people a standard to reach for and fosters responsibility. All of this is true for any youth regardless of socio-economic background. However, it has particular relevance for youth from the inner-city who suffer abominable educational conditions. Darnell is now is his third year of training. He has become a leader in the group, making daring artistic choices and cheering on his peers. He is articulate about his personal development and recently said that while he arrived at the Studio a depressed teen without direction, he has grown into a man who is connected to his feelings and inner strength. He has his own apartment, a part-time job, and is about to receive his Associate’s degree. When he is ready, he has an offer for a full scholarship to one of our Conservatory training programs. His journey has just begun and his light shines brighter than ever.